Kanadugathan : a dynamic center of Chettiar communal and economic life. Walking about the narrow streets of Kanadukathan - one of 9 villages of the prominent Chettiar community of these parts - you could be forgiven for having fallen back in time to a past that still looms large and casts its shadow upon the daily lives of people here ; where majestic villas, imposing colonial-style bungalows and other stately ruins of a bygone era trying to impress onlookers with their stature and grandeur. The marketplace is abuzz with activities that have not changed in a long time - crafts, jewelry, sculpture and woodwork - all of which form the economic, social and cultural leitmotif of this dynamic and ingenious merchant community. Shoppers can make some great buys and bargains here! And for those of you drawn to religion and want to explore the sacred in the lives of these people, Kanadukathan abounds in many temples known for their unique history, most notably the ancient 1800 years old Pallayiar Patti temple a short ride away. 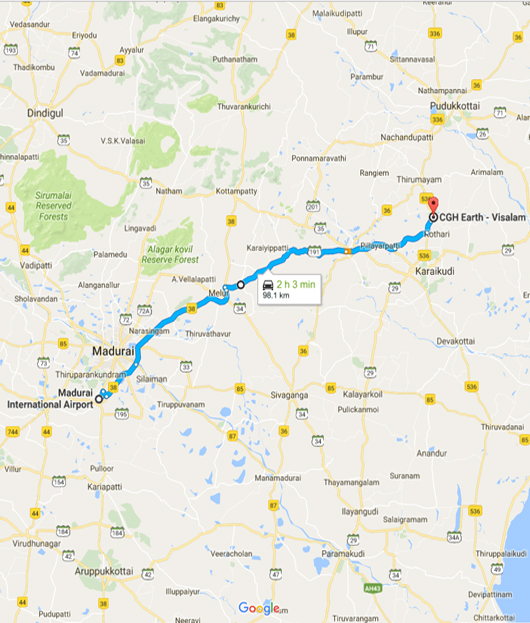 Chettinad is a cluster of 72 villages in Sivaganga district of Southern Tamilnadu, India. Multi-faceted ChettinadThere are many facets to the Chettinad region. Like, the astute business community of Chettiars, distinct spicy cuisine, stunning ancient mansions and the artistic Athangudi floor tiles. Timeless, spiritualThe timeless temples built centuries ago with intricate stone carvings and towering gopurams are still around. Even today, they adhere to the age-old religious customs and traditions. Majestic mansionsKnown for their architectural splendor, around 11,000 of Chettinad’s mansions still remain – it’s about half the number that existed 100 years ago. Magic spinnersThe art and craft of handloom weaving is kept alive in the villages of Kanadukathan as the artistic weavers spin the chakra the real way. Lasting architectureThe famed mansions were built over 200 years ago by the Chettiars. The feature Italian marble, Burmese teak, chandeliers, ornate woodwork ceilings, stone pillars, all integrated to perfection. Handloom heirs The art of handloom weaving is practiced in the villages of Karaidkudi, having beem passed down from one generation to the next. Also, the beautifully woven bed runners at Visalam, are from here. 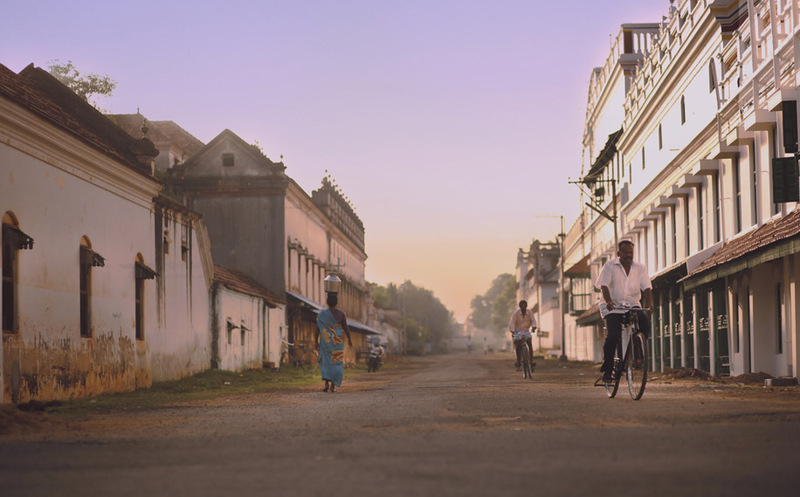 Simplicity aroundThe Chettinad region’s simplicity is what you’ll be charmed by, instantly. You’ll see the same reflect in the ancient mansions of Chettinad, which have simplistic grandeur as their hallmark. Restoring pastEach mansion in Chettinad is soaked in timelessness. But while some of them are aging with neglect, others find themselves restored as heritage hotels welcoming the world.